WhiteScope IO: DHS Funding for IoT Security! DHS Funding for IoT Security! We’re proud to announce that we’ve been awarded funding through Department of Homeland Security Silicon Valley Innovation Program. The security of IoT is a concern for organizations in many different industries; we’re excited and happy to do our part to help solve this problem at scale. 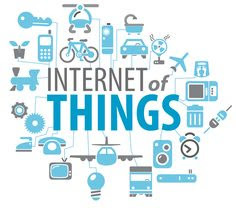 Over the last five years, we’ve looked at a variety of IoT and embedded devices. The fragmentation of processor architectures, hardware components, and real-time operating systems introduces some real challenges to making security impact at scale for IoT. One common denominator amongst many of the IoT devices we’ve seen is the usage of wireless protocols (specifically 802.11), so we’re focusing on the technology that will allow us to impact the widest range of devices. We’re excited at the chance to show off our prototypes and research over the next few months, but first we wanted to mention the Silicon Valley Innovation Program itself. The Silicon Valley Innovation Program, conceived and operated by the DHS Science and Technology Directorate, is pretty special. Working with the federal government can be daunting, especially for startups. The Silicon Valley Innovation Program is trying to change that. They’re specifically interested in engaging start-ups, incubators, and those organizations who typically don’t work with government. If you are an IoT startup or cyber security startup with some IoT skills, you should definitely take a look at the program! You can find a link to the IoT security challenge here and you can learn more about the Silicon Valley Innovation program here. Funding through Department of Homeland Security Silicon Valley it's very good! I have similar blog about DHS Science. You can find more information here. Thanks. I love your website and content you post. Good luck with your future blogging!